When I arrived home last night, I found a notice that I had a package waiting for me at the post office. I went up today to pick it up figuring it was my Beer of the Month delivery. 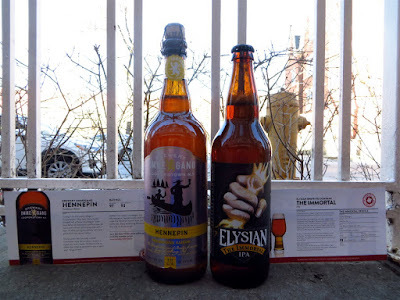 It was beer all right but one from a new and different company called Canada Craft Club. Teena bought me a year's subscription. This month's package is very exciting. 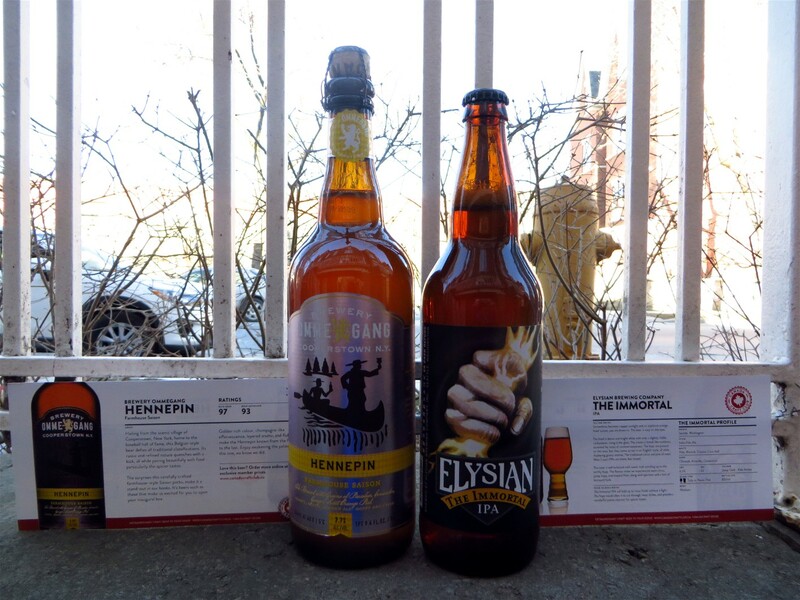 I received a 650ml bottle of The Immortal IPA from Elysian Brewing Company (gotta love the name of that beer) and a 750ml bottle of Hennepin Farmhouse Saison from Brewery Omegang. An information card came with each. Great surprise! I'm so looking forward to trying them. Thanks, Teena!